Using the combined computing power of 200,000 private PCs, the [email protected] project discovered 24 new pulsars in archival data. The combined computing power of 200,000 private PCs helps astronomers take an inventory of the Milky Way. The [email protected] project connects home and office PCs of volunteers from around the world to a global supercomputer. Using this computer cloud, an international team lead by scientists from the Max Planck Institutes for Gravitational Physics and for Radio Astronomy analyzed archival data from the CSIRO Parkes radio telescope in Australia. 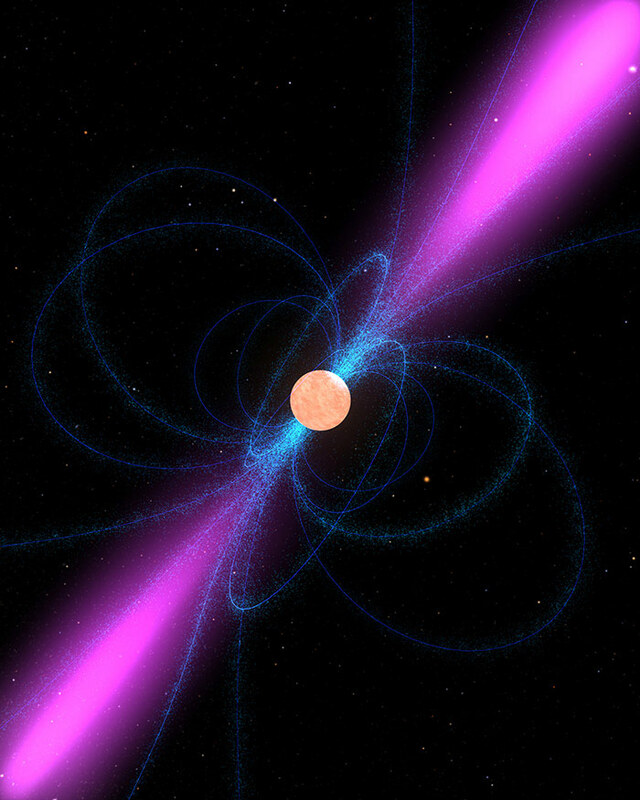 Using new search methods, the global computer network discovered 24 pulsars – extraordinary stellar remnants with extreme physical properties. These can be used as testbeds for Einstein’s general theory of relativity and could help to complete our picture of the pulsar population. Pulsars are the remnants from explosions of massive stars. They are strongly magnetized and extremely dense neutron stars. They rapidly rotate and emit a beam of radio waves along their magnetic field axis – similar to the spotlight of a lighthouse. If the radio wave beam points towards Earth, the pulsar can be observed. Large and sensitive radio telescopes are required to discover the weak signals from new pulsars. Knispel and his colleagues analyzed data from the Parkes Multi-beam Pulsar Survey, conducted from 1997 to 2001, with the 64-meter antenna of CSIRO’s Parkes radio telescope in southeast Australia. “The search for new radio pulsars is very computer intensive. To determine the a priori unknown characteristics of the pulsar, e.g., its distance or its rotation period, we have to very finely comb through wide parameter ranges,” says Knispel. Each week, 50,000 volunteers from around the world “donate” idle compute cycles on their 200,000 home and office PCs to [email protected] Together they combine to yield a sustained computing power of around 860 teraFLOPs per second. This places [email protected] on par with the world’s fastest supercomputers. The analysis of the archival Parkes data was completed in eight months, while the same task would have taken a single CPU core more than 17,000 years. Raw computing power was not the only important factor to discover the two dozen new pulsars. The development of new post-processing methods proved to be just as crucial. The recorded data often contain pulsar-like, man-made interference signals. The astronomers employed new methods that allowed them to discover pulsars previously masked by the presence of these interference signals. 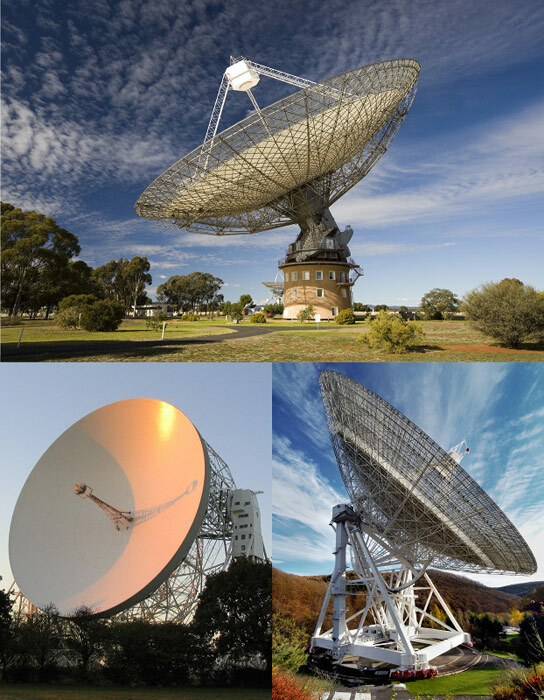 The researchers used the radio telescopes near Parkes, at the Jodrell Bank Observatory, and at Effelsberg for follow-up observations and to characterize their discoveries in more detail. “There are different kinds of pulsars, just like there are different animal species in a zoo. Some are more common than others – in some cases, only a handful of specimens are known,” explains Ralph Eatough, scientist at the Max Planck Institute for Radio Astronomy (MPIfR) in Bonn and second author of the publication. Pulsars in binary systems are of particular interest to the astronomers. That is because these objects allow insights into their formation history and because they can be used as testbeds for Einstein’s general theory of relativity. However, discovering them is even more computationally demanding than the already challenging task of finding isolated pulsars. Tracking down their complex signals in the data increases the computing costs that far exceeds the computing capacities at the two Max Planck Institutes. Out of the 24 pulsars discovered by [email protected], six are in binary systems orbiting the common center of mass with their stellar partner. These systems form only under very specific astrophysical conditions, which the scientists can now reconstruct more precisely. One of the newly discovered pulsars has an unusually long orbital period of about 940 days – the fourth longest known. In the future, it could be used as a testbed for Einstein’s general theory of relativity. Some of the pulsars that were discovered appear to switch off their radio emission for some minutes or hours. “This phenomenon has been observed before, but it is not yet fully understood. Further investigations could help to improve our understanding of the processes in the pulsars’ strong magnetic fields, which power their radio emission,” says Eatough. It is not only important to find these exceptional objects, but also to discover “normal” pulsars. The Parkes Multi-beam Pulsar Survey is often used as reference for numerical simulations of our Galaxy’s pulsar population. Only by finding all pulsars hidden in the data, can astronomers draw precise conclusions about the entirety of pulsars in the Milky Way. “Our discoveries prove that distributed computing projects like [email protected] can play an important role in modern, data-based astronomy,” says Bruce Allen, director of [email protected] and director at the AEI. “We expect distributed computing to become increasingly important for astronomical data analysis in the future. [email protected] is also very well prepared for the increasing mobility of computing power,” says Allen. Recently, volunteers can not only sign up their PCs for the project, but also help to find new radio pulsars with their Android-based smartphones and tablets. Be the first to comment on "[email protected] Project Discovers 24 New Pulsars in Archival Data"